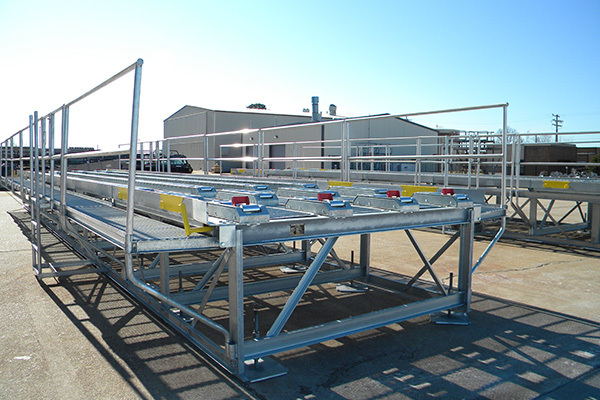 IAS’ heavy duty high-line dock is capable of handling (6) 463L pallets of 10,000 lbs each for a total of 60,000 lbs. loaded either from the ends or sides of the dock. 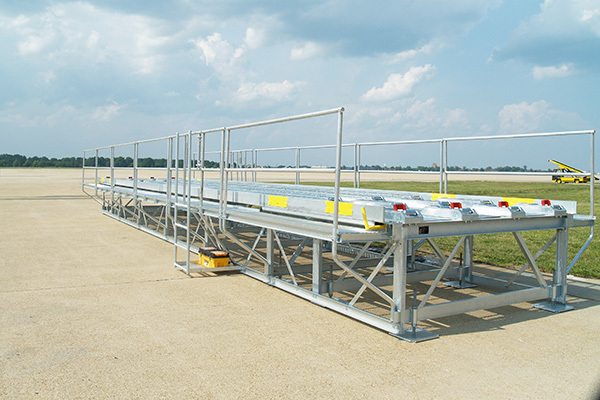 The HLD-50-2 incorporates standard industry features, such as holding v platforms up to 60,000 lbs and containers 108 inches wide; able to ship on skids 44 in wide x 110 in long x 5 ft high; and easy to assemble with instructions, hardware, and tools provided. 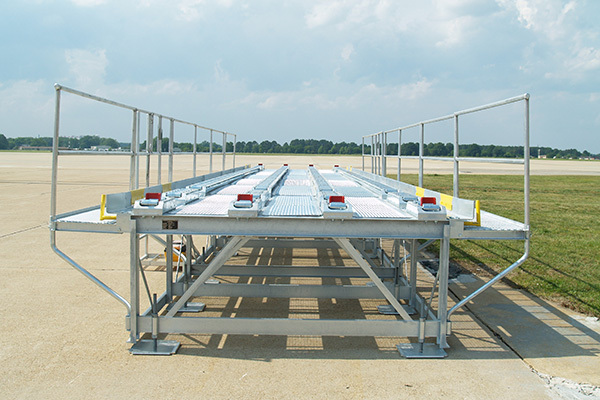 IAS’ high-line dock has been improved offering a product of greater value and functionality than other docks currently available on the market. 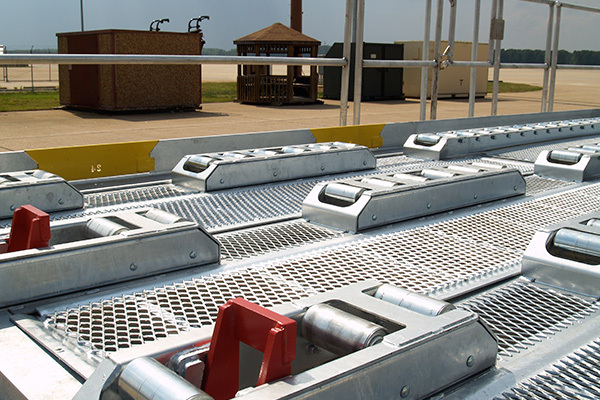 No unusual preparations are required to ready the HLD-50-2 for use. 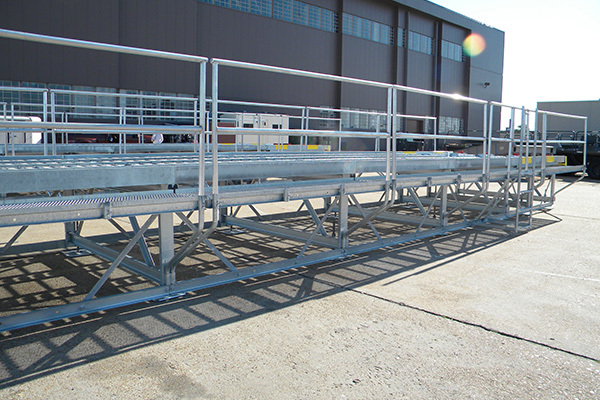 The dock is ready for use upon completion of assembly from the “as received” condition. 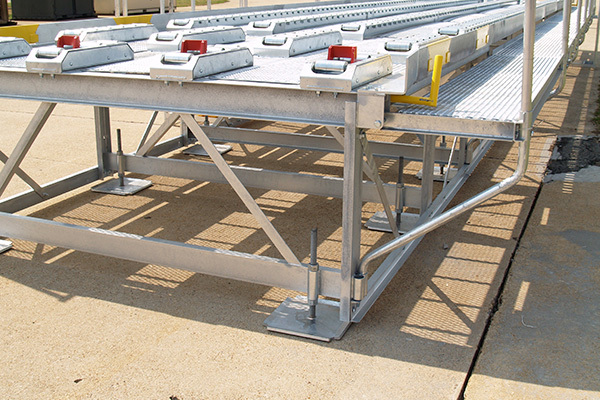 IAS added continuous step protection which increases the strength of the 463L conveyor sections. 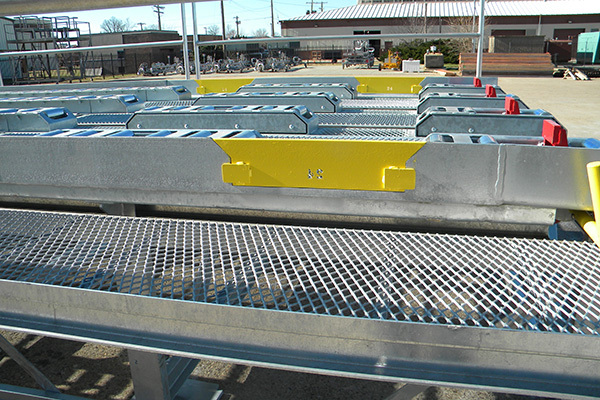 IAS’ high-line docks can be installed with standard hand tools and by Government personnel.